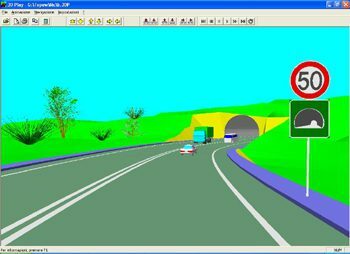 This is the software module Strato® dedicated to the 3D view of the road project, you can choose the point of view. You can rotate and move the project or simulate driving along the axes of the project. With Strato® 3D view you will seem to really go on your road!